In line with the objectives of enhancing efficiency and facilitating a liquid and transparent, Foreign Exchange (FX) market, the Central Bank of Nigeria (CBN) hereby releases the revised guidelines on the operations of the Nigerian Inter-Bank FX market towards the liberalisation of the market. The CBN shall operate a single market structure through the autonomous/inter-bank market i.e. the Inter-Bank Foreign Exchange Market with the CBN participating in the FX market through interventions (i.e. CBN Interventions) directly in the inter-bank market or through dynamic “Secondary Market Intervention Mechanisms”. Furthermore, to promote the global competitiveness of the market, the inter-bank FX market will be supported by the introduction of additional risk management products offered by the CBN and Authorised Dealers to further deepen the FX market, boost liquidity and promote financial security in the market. Additionally, to further improve the dynamics of the market, the CBN shall introduce FX Primary Dealers (FXPDs). These shall be registered Authorised Dealers designated to deal with the CBN on large trade sizes on a two-way quote basis. amongst other obligations as stated in the FXPD Guidelines – (Guidelines for Primary Dealership in FX Products). The FXPDs shall operate with other Authorised Dealers (non-FXPDs) in the Inter-bank market. Participants in the inter-bank FX market shall include Authorised Dealers, Authorised Buyers, Oil Companies, Oil Service Companies, Exporters, End-users and any other entity the CBN may designate from time to time. 2.1.2Authorised Dealers shall buy and sell FX among themselves on a two-way quote basis via the FMDQ Thomson Reuters FX Trading Systems (TRFXT Conversational Dealing), or any other system approved by the CBN. 2.1.3 Authorised Dealers may offer one-way quotes (bid or offer) on all products and on request to other Authorised participants via the FMDQ Thomson Reuters FX Trading System (FMDQ TRFXT – Order Book System), or any other system approved by the CBN. 2.1.4 The maximum spread between the bid and offer rates in the inter-bank market shall be determined by FMDQ OTC Securities Exchange (FMDQ) via its market organisation activities with the Financial Market Dealers Association (FMDA). 2.1.5 Proceeds of Foreign Investment Inflows and International Money Transfers shall be purchased by Authorised Dealers at the inter-bank rate. 2.2.1To further deepen the FX market, in addition to the already approved hedging products referenced in the CBN “Guidelines for FX Derivatives and Modalities for CBN FX Forwards”, Authorised Dealers are now permitted to offer Naira-settled non-deliverable overthe-counter (OTC) FX Futures. 2.2.2 OTC FX Futures’ transactions shall be nonstandardised with fixed tenors and bespoke maturity dates. 2.2.3 OTC FX Futures sold by Authorised Dealers to endusers must be backed by trade transactions (visible and invisible) or evidenced investments. 2.2.4 FMDQ will provide the appropriate benchmarks for the valuation and settlement of the OTC FX Futures and other FX derivatives. 2.2.5 FX OTC Futures and Forwards will count as part of the FX positions of Authorised Dealers. 2.2.6 To promote market liquidity, Authorised Dealers may apply FX Spot transactions to hedge Outright Forwards, OTC FX Futures and FX Options etc. 2.2.7 Settlement amounts on OTC FX Futures may be externalised for Foreign Portfolio Investors (FPIs) with Certificates of Capital Importation. Such settlement amounts shall be evidenced by an FMDQ OTC FX Futures Settlement Advice. 2.2.8 Furthermore, FMDQ will be developing detailed registration and operational regulation on FX Options and will drive, with the market, the development of other risk management products and attendant guidelines. 2.3.1 Further to the CBN Circular Ref: TED/FEM/FPC/GEN/01/001 dated 12th January 2015, Authorised Dealers, (FXPDs and non-FXPDs) are hereby notified of a review in the daily Foreign Currency Trading Positions of banks. Consequently, Authorised Dealers shall have maximum limits of +0.5%/-10% of their Shareholders’ Funds unimpaired by losses as Foreign Currency Trading Position Limits to support their obligations as liquidity providers at the close of each business day. 2.3.2 Where an Authorised Dealer requires a higher position limit to accommodate a customer trade, the Authorised Dealer shall contact the Director, Financial Markets Department. Where the request is assessed as valid, the Director shall communicate immediate approval by text or email to the Authorised Dealer. Thereafter, the Authorised Dealer must, with 24 hours, write to the Director, Financial Markets Department who will thereafter communicate an approval in writing. The Director, FMD shall exercise discretion on the duration of the temporary position limit depending on the estimated defeasance period of the transaction size. 2.3.3 Returns on the purchases and sales of FX shall be rendered daily to the CBN by Authorised Dealers. 2.3.4 Inter-bank funds shall NOT be sold to Bureaux-deChange. 2.3.5 The forty-one (41) items classified as “Not Valid for Foreign Exchange” as detailed in the CBN Circular Ref: TED/FEM/FPC/GEN/01/010, remain inadmissible in the Nigerian FX market. 2.3.6Applicable exchange rate for the purpose of import duty payments shall be the daily inter-bank FX closing rate as published on the CBN website. 1. The CBN reserves the right to intervene in the inter-bank market to either buy or sell FX Spot upon the receipt of valid two-way quotes on the standard amount as defined from time to time in the FXPD Guidelines. 2. 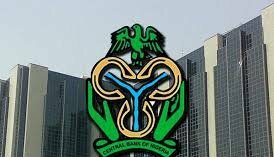 CBN may also intervene in the inter-bank market by placing orders for non-standard amounts in the FMDQ TRFXT – Order Book System., or any other system as approved by the CBN. There shall be no predetermined spread on FX Spot transactions executed through CBN intervention with the FXPDs. 1. The CBN reserves the right to intervene in the inter-bank market to either buy or sell FX Forwards upon the receipt of valid two-way quotes on the standard amount as defined from time to time in the FXPD Guidelines. 2. To enhance liquidity, CBN shall also offer nondeliverable OTC FX Futures (bid or offer) daily on the FMDQ OTC FX Futures Trading & Reporting System. 3. The OTC FX Futures shall be in non-standardised amounts and different fixed tenors which may be sold on any date thereby giving bespoke maturity dates. 1. The CBN may, at its discretion, intervene in the FX market through the sale of FX to Authorised Dealers (wholesale) or to end-users through Authorised Dealers (retail) via a multiple-price book building process using the FMDQ-Thomson Reuters FX Auction Systems, or any other system approved by the CBN. All SMIS bids shall be submitted to the CBN through the FXPDs. All FX Spot purchased by Authorised Dealers are transferable in the inter-bank FX market. CBN may offer long-tenored FX Forwards of 6 – 12 months or any tenor to Authorised Dealers. o Sale of FX Forwards by Authorised Dealers to end-users must be tradebacked. There shall be no predetermined spread. FX Forwards purchased by Authorised Dealers are transferable in the inter-bank FX market. All FX Spot purchased by Authorised Dealers for end-users shall be for eligible transactions only upon the provision of appropriate documentation. FX Spot sold to any particular end-user shall not exceed 1% of the overall available funds on offer at each SMIS session. 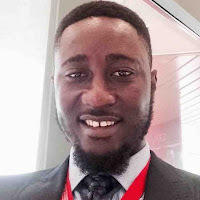 CBN may offer FX Forwards to endusers through Authorised Dealers and may limit the amount sold to an individual end-user o All FX Forwards sales to end-users must be trade-backed. There shall be no maximum spread on the sale of FX Forwards by Authorised Dealers to end-users. 2.5 To ensure effective monitoring of the FX market, all Authorised Dealers and end-users are required to trade only on FMDQ-advised FX Trading System(s). All transactions not executed on the Trading Systems shall be voice reported on the Trading Systems. 2.6 All FX transactions by Authorised Dealers are to be reported to FMDQ via the FMDQ-advised FX Reporting System. CBN will be granted access to this system. Authorised Dealers are enjoined to comply with the provisions of these Guidelines, failing which appropriate sanctions shall be imposed, including suspension of the FXPD, Authorised Representatives of the Authorised Dealer, suspension of Authorised Dealer from the FX market and/or withdrawal of the Authorised Dealership Licence. For the avoidance of doubt, all Authorised Dealers are to refer policy issues in respect of which they are in doubt to the Director, Financial Markets Department, Central Bank of Nigeria for clarification. 1. Circular Ref: TED/FEM/FPC/GEN/01/020 dates October 28, 2014 titled “Guidelines on the Operation of CBN Interventions in the Inter-Bank Market through the Two Way Quote System”.